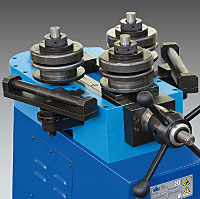 The UNI 60 COMBI-CAL is a ring rolling machine which allows to bend pipes, structural sections, and plates (it is equipped with three universal rollers to bend structural sections, and plates). 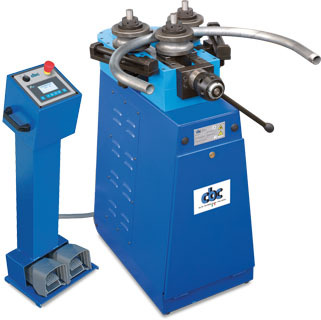 In the pipe bending mode it is equipped to bend metal pipes with a bending angle from 0° to 180°; the machine is designed to bend without mandrel. -	Cast iron body on metal steelwork base.